Enroll in a distance course with Indigemama today. Join our international community of women + folks dedicated to holistic sexual health, traditional healing, and womb wellness. Receive access to your downloadable, pre-recorded videos with instructional PDFs, or join our postpartum distance training (A Cerrar Las Caderas). Become a traditional postpartum birth worker! Enhance your professional skills, deepen your knowledge about postpartum recovery, and use your understanding of Mexican Traditional Medicine (MTM) to support families during the crucial 40-day period, or cuarentena. Students have instant access to the A Cerrar las Caderas (ACLC) training manual, online videos, and self-study supplements upon enrollment. This online apprenticeship is offered wherever you are. We meet monthly via distance, for nine months of online mentorship, support, check-ins, and community building (please see dates at indigescuela.com). Participants are added to our exclusive online forum for additional resources, guidance, accountability, and inspiration. 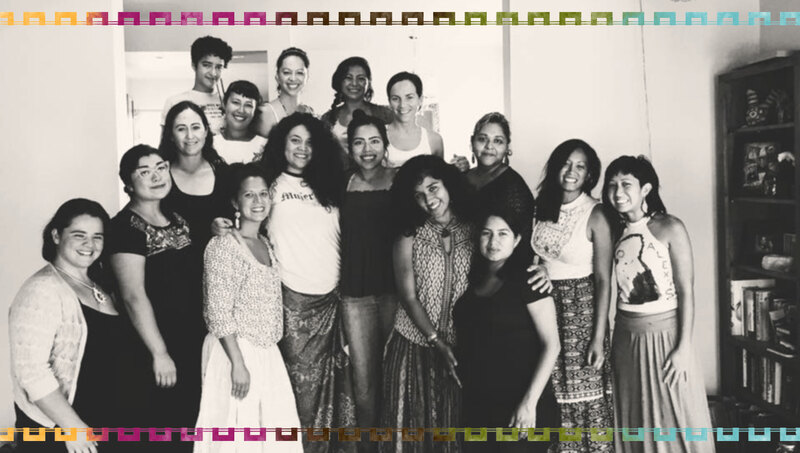 Our 9 modules progressively delve deeper into learning about yerbas, traditional foods, ancestral bodywork, your womb, and your professional practice as a postpartum practitioner serving Indigenous and POC communities. By culmination, you’ll have the knowledge, tools, support, and community base to launch your own practice as an ACLC Postpartum Practitioner. I recently purchased the online self womb massage course, Sobadas from Indigemama. I’m pleased to have this informative package in my arsenal for self-healing and exploration. Thank you, Indigemama! ~ Odessa Thornhill, ND. Montreal, Canada.